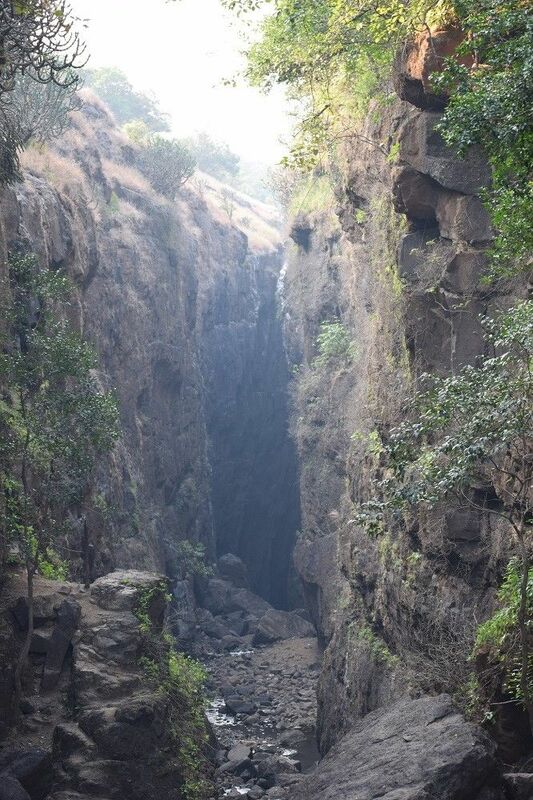 Sandhan Valley Trek is one of the greatest canyons in the Sahyadri mountain ranges. It is a very good combination of a canyon and a valley. The water carved valley is 200 ft deep and about 1.5 km long. 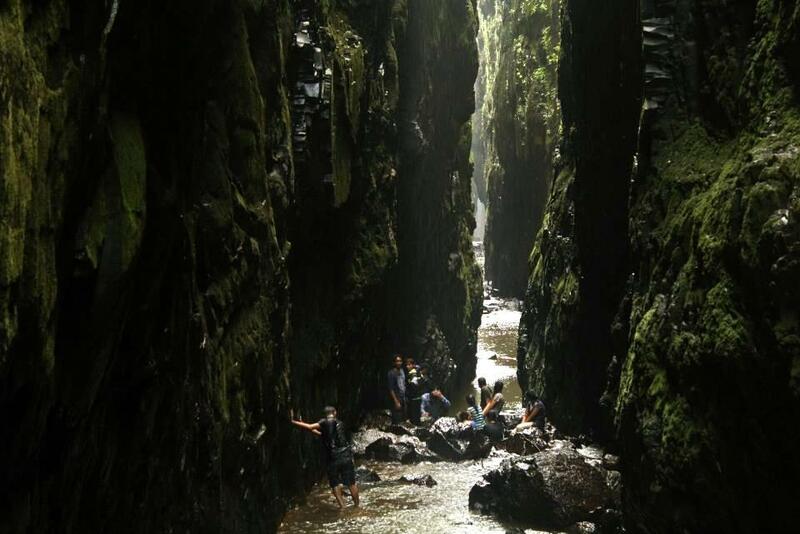 Sandhan valley is located on the western side of the beautiful Bhandardara region, near Samrad village. The valley is surrounded with mighty Alang, Madan and Kulang (Known as AMK- rated as the toughest trek in Sahyadri) Ratangad, Ajoba & Kalsubai 5400 ft. the highest peak in Maharashtra mountain ranges. At some places, its width is less than 3 ft and at some places, sun rays are unable to reach the ground. Which gives it the name: valley of shadows. 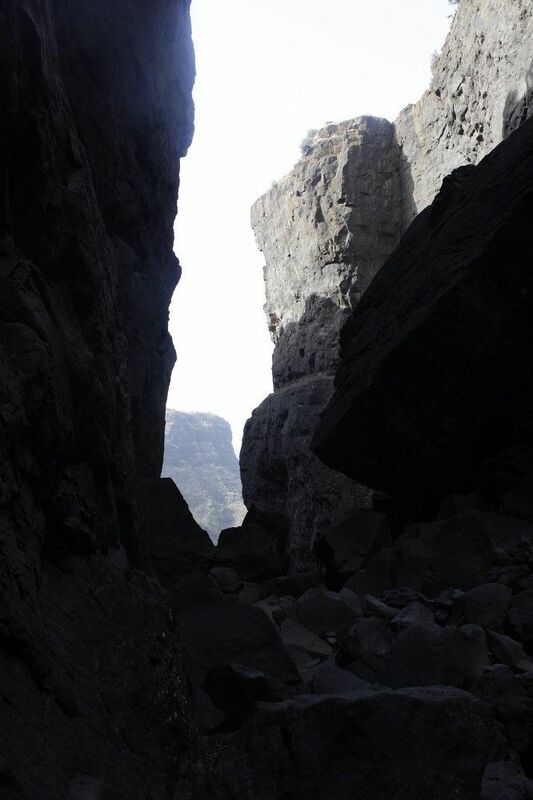 The Sandhan valley trek incorporates a rappelling experience and freehold rock climbing and descending. Technical support of experienced trekkers and all safety mountaineering equipment will be used for the event to ensure safety. The water carved valley is 200 ft deep and about 1.5 km long. Reporting at Plus Valley Adventure office 11.00 p.m.
Leave towards Sandhan Valley. 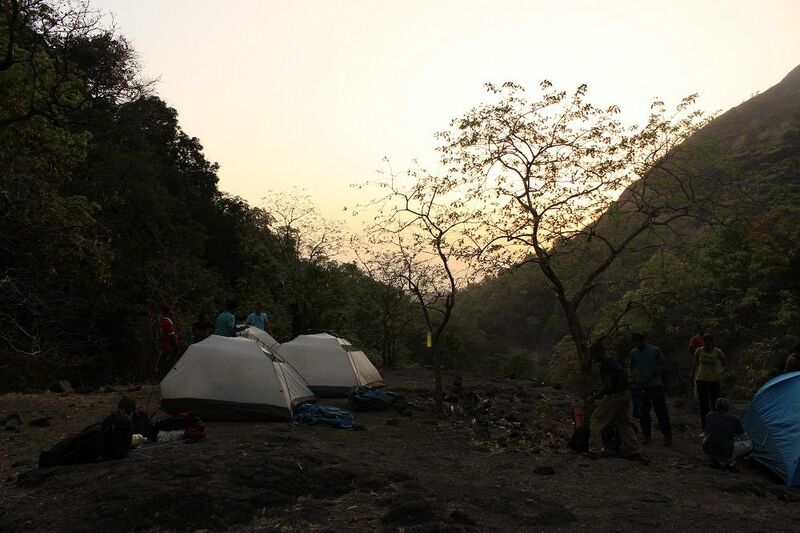 11.30 p.m.
Sleeping in Tents 10.30 p.m.
Departure to Pune @ 2.00 p.m.
Reach Pune @ 8:30 pm. Cold Drinks, Mineral Water, Sunday Lunch, Snacks, Dinner, etc. Private orders of any food. Medical expenses other than “Basic First aid”. A proper Rucksack to carry your luggage (NO Sling Bags, Side bags, Suitcases, trolley bags, Shabnam Bags etc.) all luggage packed in plastic bag as we have to cross water streams. Dry Snacks/Biscuits/Choco Bars/Dry Fruits etc. Kindly check the TnCs here. Kindly check the cancellation policy here. Kindly check the refund policy here.